Why did we travel to Kashmir? Interesting enough that we got mixed reactions when we went to Kashmir last month. I think that more than the timing and amongst the many whys, it is a straight to the point amazement of wanting to visit (and coming back safe and sound) a place with a reputation of unrest and intimidation in general. Only a few people knew that we would be visiting Kashmir (i.e. the northernmost part of India). Mainly not to let those especially dear to us to incur unnecessary worries for the kind of risk appetite that we have. Kashmir has fascinated me since 2008 when I first heard about it from an expat-colleague who visited the “paradise on earth”. No photos from the colleague’s stories. But it struck me that his & wife’s visit has been ‘privileged’ and only made possible because they were accompanied by a relative who works for the military. Fast forward. 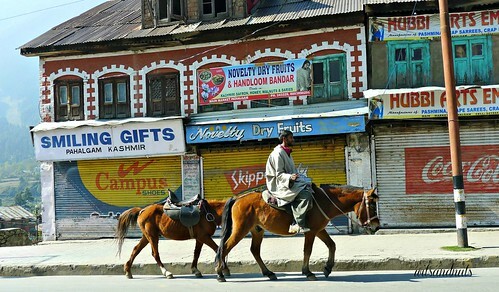 The political unrest has subsided and Kashmir is now safe for tourists. Even few years back. 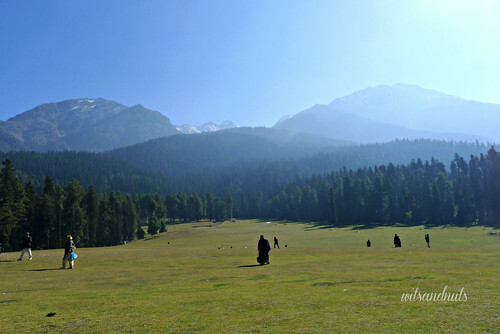 And we thought that the long weekend in light of the Eid Al Adha celebration was the perfect time to visit Kashmir. We trusted that we tested the waters (for whatever minimal means) long enough. There is no direct flight from UAE to Kashmir (i.e. 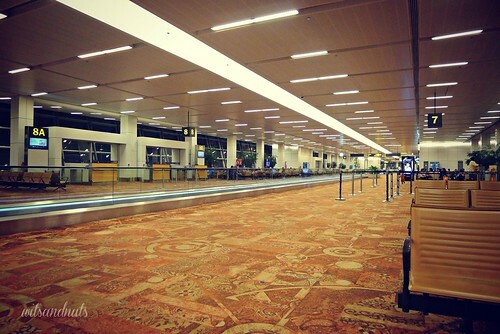 via Srinagar or Jammu airport). We took the 3.5 hours flight from Abu Dhabi to New Delhi and 1.5 hours flight from New Delhi to Srinagar. 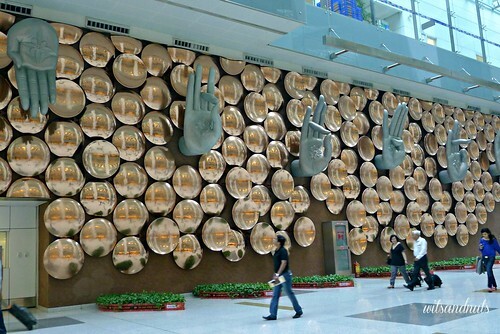 For most of the people, especially tourists, New Delhi rings like “go and see Taj Majal!”. However, we got a solid direction of exploring Kashmir alone for the first India experience (although some Kashmiris would argue that Kashmir is not part of India; that requires another blog entry). Although Taj Majal is magnificent, however, I always think that I can defer the visit. There is this ‘next time anyway’ notion due to its accessibility from Abu Dhabi by air. However, Kashmir visit is a once in a blue moon element to me. We intentionally allotted a number of hours in the airport in order to enjoy it and have sufficient time to get the visa (visa on arrival is available for Filipinos). The process was easy and while we prepared all the documents listed on India’s immigration website, the officers only checked the passport and return tickets and without much scrutiny of the hotel reservations and other arrangements. But having all the requirements at hand is the best. 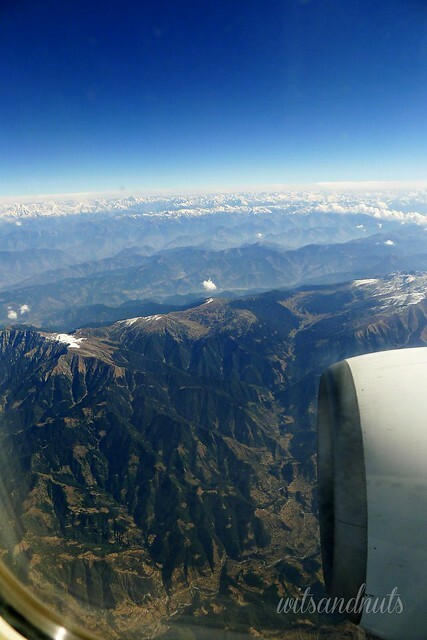 Taking the window seat is a must when flying from New Delhi to Srinagar. 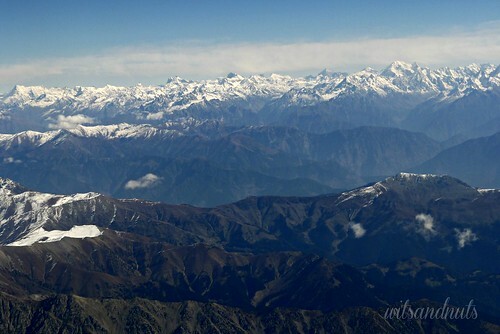 We had a breathtaking experience of flying over the Great Himalayas. I never thought that I would see it (the first time, ehem that is wishing for a next time!) in person that way. The stories about it piqued me when I watched the black and white movie “The Lost Shangri-la”, even prompted me to read the book. As we reached the Srinagar airport, we instantly felt the physical chill due to the climate and figuratively due to the presence of military groups. I have never seen a strong presence of military in any other airport. Although that was new information having read it in one of my researches but it definitely felt intimidating face to face. The information gathering in the arrival section was very detailed for the tourists. On the other hand, it was amazing that it did not feel threatening at all. They did it in a ‘you are being protected’ manner. 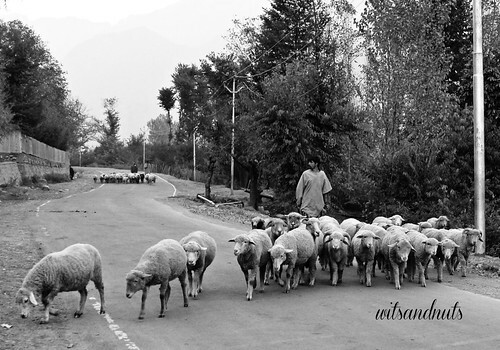 There is more to tell, but all throughout our stay in Kashmir, we never had any bad experience/ encounter. Rather we felt that we were given special treatment. Maybe we could factor that it is due to a combination of Kashmiri values, the festive timing of our visit (on the occasion of Eid), and the efforts to nurture the tourism industry. In a few days of stay, we appreciated the unadulterated beauty of nature in Kashmir, the hospitality of Kashmiris, the distinctiveness of their culture and physical attributes (they are very different from Indians although they are administered by India), and more. We visited at the right time, that was before the snow’s full bloom. By this time, the road in the photo above may not be passable. 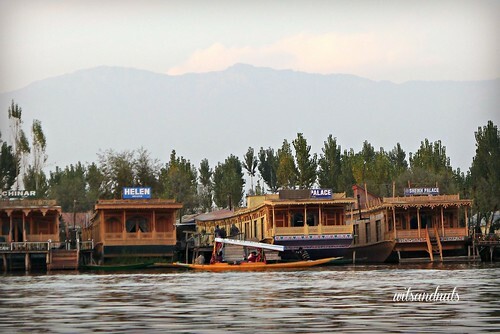 We deviated from the tourist-y pattern of staying in the hotel and opted to stay in one of the houseboats floating/by the Dal Lake while in Srinagar. The shikara ride (boat ride) during sunset was unforgettable, as well as the freezing temperature at night. I also had my first major horse ride experience (i.e. not just posing for the photo); we had to ride the horses at a minimum of 4 hours in consecutive days in climbing the mountains in order to fully experience Kashmir. It was a heart dribbling experience to realize that for a number of hours my life’s risk management was strongly linked to the performance of the mountain horses. At some point, I talked like “Dear God, would I still be able to blog about this experience?” Heehee. What a journey. I’m pleased to be given a chance to share about the other details of the experience in the next entries. jo, you’re making me envious! it’s on my bucketlist to visit india -taj mahal to be exact and its laterals. but you went further by passing it up and went to kashmir. i cannot blame with you for the experience based on your photos and text are remarkable. those shots are travel-guide-book-worthy! everything looks so crisp! calming! the view is breathtaking! I can stand all day watching the clouds embrace the snowcap mountains! you are one brave traveller Ms. Jo! stunning photos! like only you can deliver. now I am having second thoughts if I will show Hubby your post. this is the kind of vacation he wants but I am bent for us to take a cruise – which he thinks for 7days is lame hahaha! How did you fare on the horse riding? I had my first riding experience this year. Desert hacking for one hour and a half and my body was so sore i was sick the next day. I cannot imagine riding for four straight days! Your photos are postcard perfect! 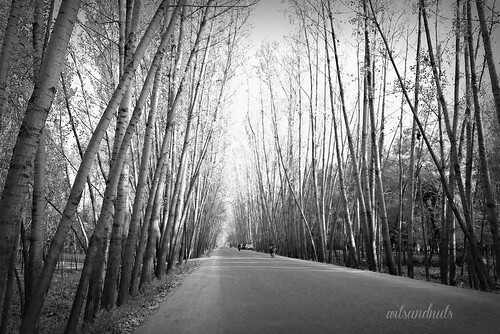 .. kashmir is beautiful, wits. i just recently had a trip to india too and it was a great experience. india is a place that you will want to go back to discover more. 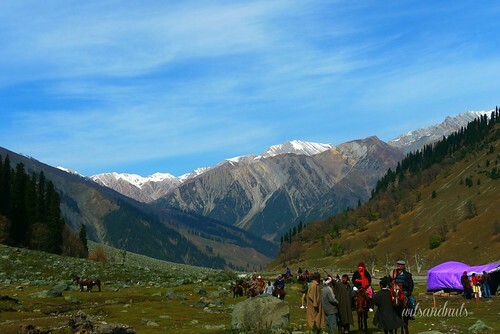 Kashmir and the rest of Indian ‘hill stations’ is the reason why I’m itching to go back to India. envious after my india trip this summer. 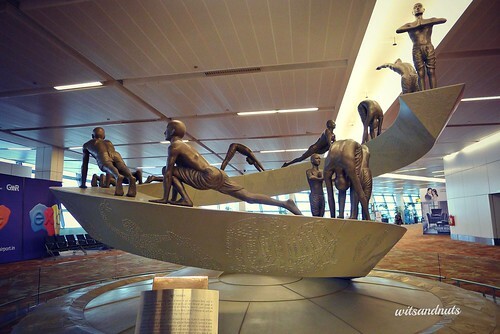 india is such a vast country that one needs to keep coming back just to scratch the surface. so glad you had a once-in-a-lifetime trip. happy holidays.